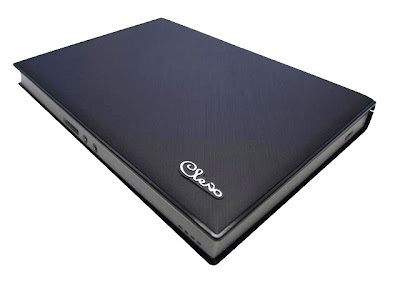 Clevo TN70xM, 7 inch convertible, available rebranded with many different specs. 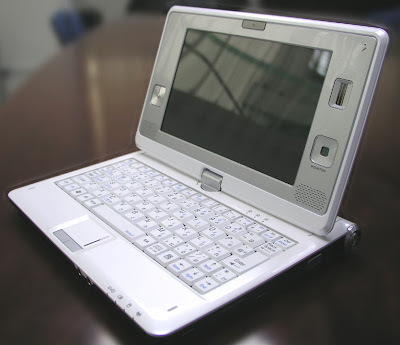 Clevo M81xL, 10 inch netbook looking like a real book! hmm a bit ugly but a convertible yam yam ;-) lets see what the future brings. 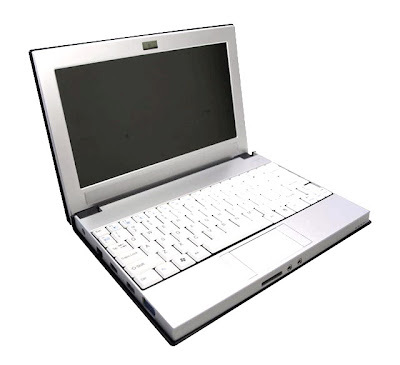 I like the idea of a 10-inch netbook with a touchscreen and Atom, but if it's as big as the M71xL picture above, I wouldn't buy it. Having a huge bezel around the screen and keyboard is a waste of space. 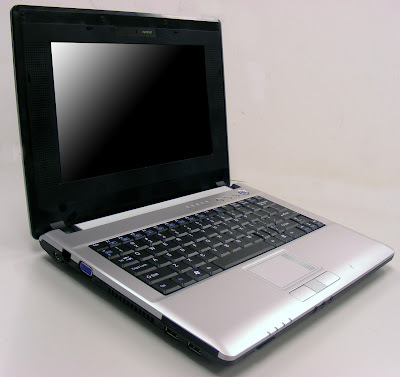 It looks like they are using a 12-13 inch notebook chassis. Sad thing is they probably won't even realize that's why the products won't sell.